Migrant workers building infrastructure for the World Cup 2022 and other big projects in Qatar have gone unpaid for months, Amnesty International said in a new report. Contractor Mercury MENA "failed to pay its workers thousands of dollars in wages and work benefits, leaving them stranded and penniless" in the country, the London-based human rights group said. Most of the former Mercury MENA employees interviewed by Amnesty International were owed between $1,370 and $2,470 in salaries and benefits. In Nepal, 34 worked interviewed by Amnesty were owed, on average, $2,035 each. Fifa has said the non-payments were not connected to the World Cup. 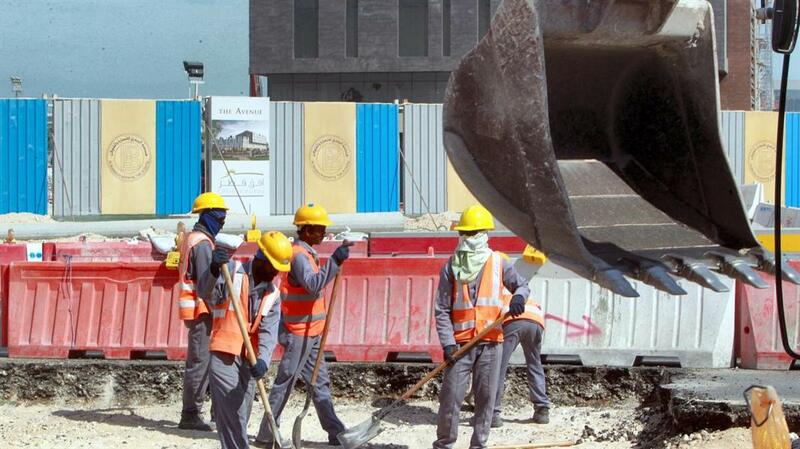 Some of these workers were helping to build Lusail City, which will host the World Cup's opening and closing games. Others were working on the Barwa Al Baraha workers’ accommodation complex - ironically promoted by Qatar as a sign of improving conditions for migrant workers, the report noted. Under Qatar’s "Kafala" sponsorship system, companies have had the power to prevent workers from leaving the country or changing jobs, limiting their options to escape abuse or challenge their treatment. However, the "exit permit" requirements were removed for most workers in September 2018. Meanwhile, Amnesty has called upon the Qatari government to ensure former employees of Mercury MENA receive the money they earned, and to fundamentally reform the “Kafala” system that has allowed numerous companies to exploit migrant workers. “Sadly, the exploitation of migrant workers by Mercury MENA is not an isolated case. We will continue to pressure the Qatar authorities until promises of overhauling the sponsorship system are delivered, and workers’ rights are fully protected both in law and practice," said Steve Cockburn, director of global issues, Amnesty International.